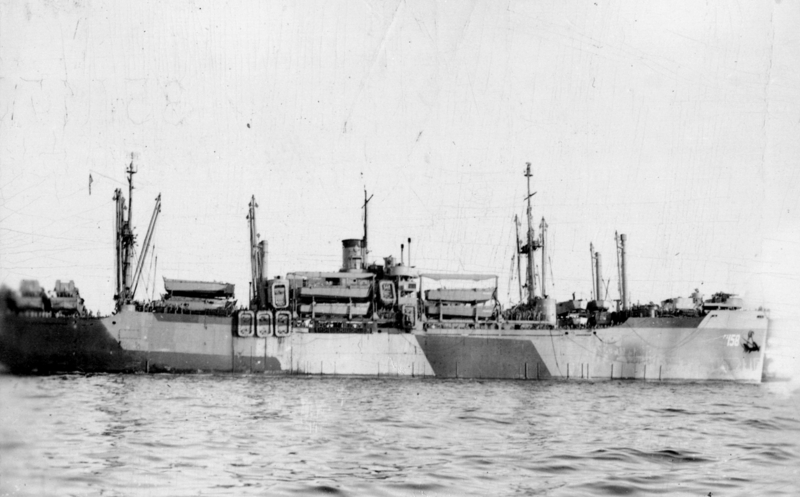 USS Newberry (APA-158) wearing camouflage 32/4T sometime in January 1945, at sea. The colors should be dull black, haze gray and light gray. A photo showing three attack transports in Pearl Harbor taken from USS Breton (CVE-23) on January 25, 1945. 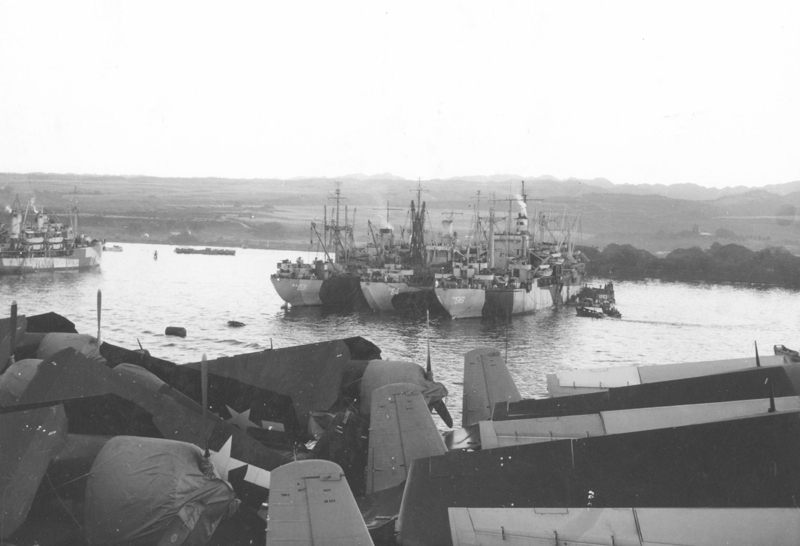 The transports are left to right USS Newberry (APA-158), wearing camouflage 32/4T, USS Bracken (APA-64), in 32/4T and USS Cecil (APA-96) wearing 32/3D. 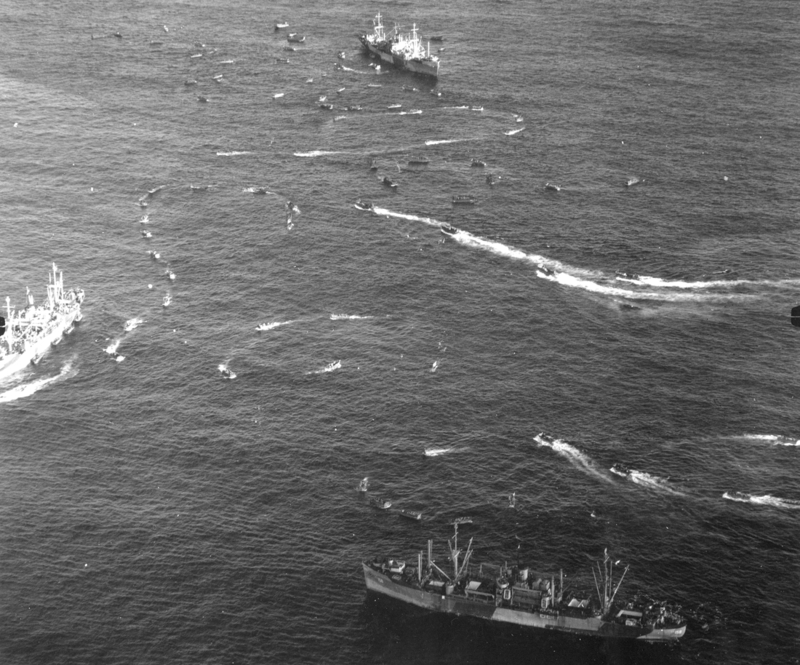 Three transports at the invasion of Iwo Jima on February 19, 1944, all loading landing craft for the invasion. USS Newberry (APA-158) is the closest to the camera and is wearing camouflage 32/4T. The other transports are unidentified.